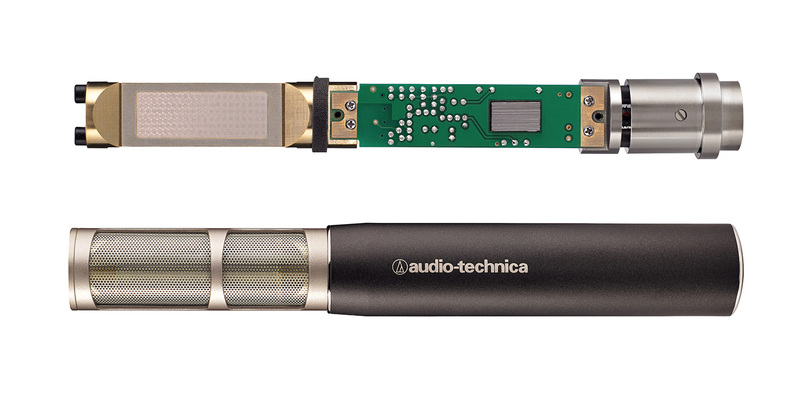 Back in May of 2013, I had the pleasure of introducing readers to a cutting-edge microphone from Audio-Technica known as the AT5040. 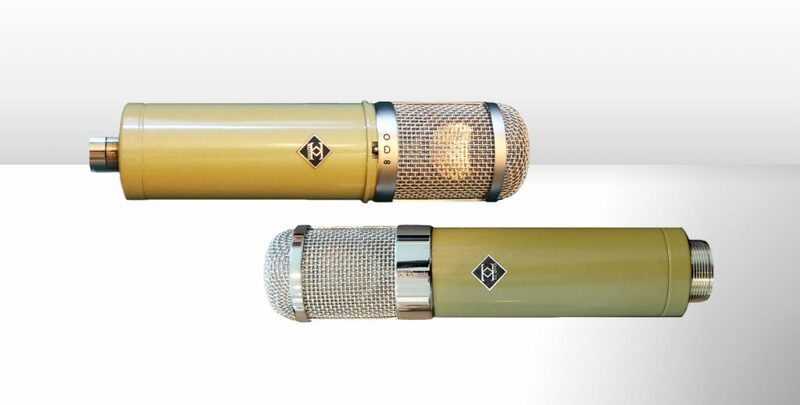 The AT5040 was built from the ground up with a no-holds-barred, “money is no object” philosophy, with the goal of creating a top-shelf vocal mic that relied on new design principles and technology. The most unique design element of the AT5040 was its large rectangular diaphragm that was actually made up of 4 smaller rectangular diaphragms, combined via onboard electronics into one large “super-diaphragm”. Now the 50 Series, which has superseded the already amazing 40 Series as Audio-Technica’s premium line, truly becomes a series as the AT5040 is joined by the new AT5045 Cardioid Condenser Instrument Microphone. Here’s what I learned in my time using the AT5045 in a variety of settings. Like the AT5040, the AT5045 is built around a rectangular diaphragm, but just one this time. The diaphragm is 2 microns thick and measures 1 5/16″ x 9/16″. The mic itself is just shy of 7″ long by 1″ at the base and is only a hair larger than the average small-diaphragm pencil condenser microphone. Its body is finished in the dark pewter gray scheme of the 50 Series, and its fine mesh grille at first put me in mind of getting a closer shave than a blade! The AT5045 is a side-address microphone, and despite its compact size its rectangular capsule offers more surface area than some traditional large-diaphragm microphones. The long rectangular diaphragm could easily fool someone new to the mic into thinking it was a ribbon. As with the circuit design of the AT5040, the AT5045 features no switches or pads and has a minimal amount of circuitry. It is transformer-balanced on its output as well. Rectangular capsules actually date back to the 1950s, pioneered by Sweden’s Pearl Microphone Labs and are still in use today by Pearl and its offshoot company Milab. We have looked at models from both companies over the past 2-3 years. Now that Audio-Technica offers its own mics of this design (although internally quite different than the Swedish mics), the rectangular capsule may finally be its on its way to become a full-fledged category rather than an exotic oddity. The rectangular diaphragm offers advantages over traditional circular designs. As I said in a past review, this diaphragm “disperses the extreme midrange resonance peaks inherent in circular capsules, and it allows for an exceptionally neutral off-axis response.” As a real-world illustration, anyone who has ever tuned a drum head knows how difficult perfect tension and even tuning can be. Often, a drum head needs to have stray resonances damped down with gels, tape, or weights. A mic capsule can be similar, but usually its stray resonances are damped down electronically. Now picture tensioning a long rectangular sheet of metal or plastic — in essence, it is easier to get a tighter and more even tension from end to end. The AT5045 comes as part of a kit in a large deluxe molded luggage-style case and can be purchased singly or in matched pairs. Along with the mic, inside the case is a foam wind sleeve which fits over the grille but is open on both ends. Lastly the package comes with an AT8481 isolation clamp. The AT8481 borrows heavily from the AT8480 that came with the AT5040 mic. It is very similar to the inner clamp found on the AT8480, but this one is smaller and scaled to the new mic. It’s simply a secure clamp and not a suspension mount as on the AT5040. The AT8481 is made up of two pivoting, spring loaded clamps that click snugly around the microphone and lock in place thanks to a small adjustable lever. Although not technically a shockmount, the clamp holds the mic in place with small rubber washers that do provide some level of damping — and the capsule inside the AT5045 is internally shockmounted already. Overall the clamps are a nice balance of high-tech, low profile, and artistic beauty. The AT5045 is a permanently polarized cardioid electret condenser microphone that uses a fixed charge backplate. It has a 20 Hz to 20 kHz frequency response, an open circuit sensitivity of -35 dB (17.7 mV) ref: 1V at 1 Pa, a 100 ohm impedance, a maximum input level of 149 dB SPL (1 kHz at 1% THD), 8 dB of self-noise, a dynamic range of 141 dB (1 kHz at Max SPL), and a signal to noise ratio of 86 dB (1 kHz at 1 Pa). Looking at its spec sheet’s frequency graph, we see a mic with a nice low end weight between 20 and 40 Hz followed by a dip between 40 and 200 Hz that cuts down about 5 dB at its most extreme. Its midrange from 200 to 1500 Hz is fairly even. There is a wide rise between 1500 up to 8000 Hz with its most significant 5 dB peak centered around 6500 Hz. There is also a small 2 dB bump around 12 kHz, and then the mic rolls slightly off. To translate this into what we should hear, the AT5045 has a solid low end with the low-mid mud cleaned out, a natural middle, and an open upper-midrange presence boost. The high end has some minor peaks but far smoother than many modern mics. Since I was sent a pair of the AT5045 mics, the first place I put them up was on a drum kit. Consider this a spoiler, but this was and is my favorite use of this microphone. The complex sound of drum overheads does well to highlight the narrow, even, and controlled sound of the AT5045. 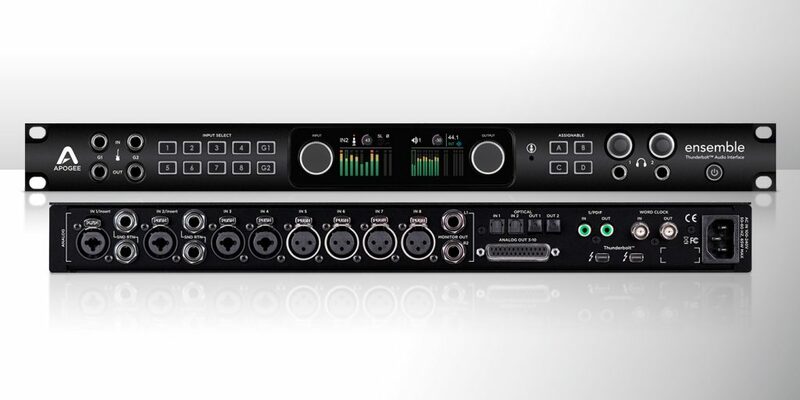 It fits like a hand in a glove, especially in multi-mic drum setups. I highlight multi-mic drum setups because the tailored lows and low mids keep the mud of the floor tom and the boom of the kick out of the way, leaving the kick and tom mics to do their job nicely. Also, as an upper mid-forward mic, it has a nice rounded forward focus to the cymbals rather than sizzle or brashness. Finally, their capsule shape and tight off-axis rejection make them easy to position and aim. For similar sonic reasons, they make great percussion mics as well. It may sound like I’m joking, but this is a very nice mic for tambourines and shakers. 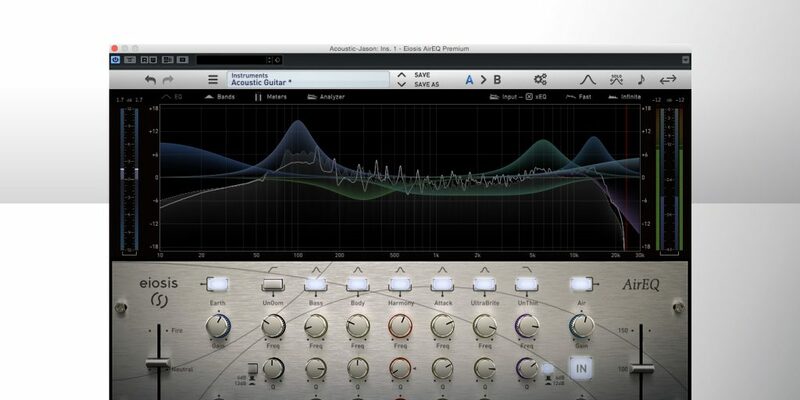 Record them about 4′ back and you will get a natural forward sound that sits perfectly in the mix but does not bite! Moving from the kit to bass cabinet, on-axis about an inch off the speaker grille it was more forward and defined rather than big and boomy. I liked it as secondary mic in tandem with a Shure Beta 52 or Audix D6 for added upper-mid definition. On distorted guitar cabinet I preferred it more at a 3′ distance vs. right up in the grille. At that distance it smoothed out some of the high-mid honk and ignored low-end buildup. Although nowhere in the same league as its vocal-dedicated sibling the AT5040, the AT5045 makes a nice vocal mic as well. In this application, its upper mid boost pushes nicely through a mix. Here is where I noticed its proximity effect; when your lips are right up touching the included wind sleeve, you get a full-on Radio Voice! This rolls off quickly to an even response at distances greater than 2″ or so. I did notice that the AT5045 is very prone to air blasts and plosives, as the capsule is quite exposed. I would use a standalone pop filter when tracking any sort of sung or spoken voice. On acoustic instruments like violin, cello, and acoustic guitar, this mic shines for its focused definition. Again it controls low-end buildup while accenting the round tone of the strings. Since its 12 kHz range is defined yet controlled, this is not what I would term a “sparkly” or “airy” mic. I preferred it on a plucked acoustic guitar more than an aggressively strummed one. When I tracked acoustic guitar, I did notice one small thing to be aware of. The AT5045’s polar pattern tends more toward omni response at 200 Hz and below; its rear response is very dark, pillowy, and subject to plosives even from 6 to 8″ away. In other words, if the mic is pointing down by the 12th fret and anywhere near the player’s mouth or nose, it can pick up breath blasts that thump into the mix. To be fair, this is not the first mic that displays this behavior; my beloved Neumann KM84s are notorious for errant air blasts from the extreme rear sides! There are many things I like about the AT5045. First and foremost, it stands on its own with its own sound and area of best use. It really is a great focused instrument mic. Its depth of field is nicely tight and narrow and it has a nice tailored edge that rounds and smooths sources just a tad. I like it a lot on solo strings (both bowed and plucked), it’s an easy mic to place in a mix, and it’s one of the best overhead mics I’ve ever tried in a multi-miked drum setup. Keep it up, A-T… I can’t wait to see what the next 50 Series mic brings us!